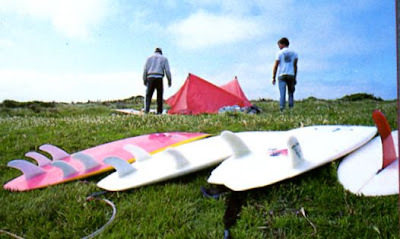 Surfer Magazine 1985: dream quiver. 1 x single fin pin tail. 1 x twin fin swallow tail.